Lord MacLaurin was born in Blackheath in 1937 and educated at Malvern College. After completing his National Service with RAF Fighter Command from 1956 to 1958 he worked for a short period with a firm of domestic appliance manufacturers. In 1959 he joined Tesco as a management trainee and subsequently promoted to a number of senior appointments within the company’s retail operations before being appointed to the Board in 1970. He became Managing Director in 1973 and Chairman from 1985 to 1997. 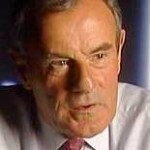 Lord MacLaurin has held numerous titles including Chairman of the Food Policy Group of the Retail Consortium, and President of the Institute of Grocery Distribution. He has been a Non-Executive Director of a number of companies including Enterprise Oil plc, Guinness, National Westminster Bank plc, Gleneagles Hotels plc, Whitbread and Vodafone. He was elected Chairman of Vodafone in June 2000 and was a member of the Stock Exchange Advisory Committee from 1988 to 1991. Lord MacLaurin was elected a Fellow of the Royal Society of Arts in 1986 and received an Honorary Degree of Doctor of Philosophy from the University of Stirling, an Honorary Fellowship from the University of Wales in Cardiff and an Honorary Doctorate of Law from the University of Hertfordshire. He was elected a Fellow of the Institute of Marketing in 1987 and an Honorary Fellow of the City and Guilds of London Institute in 1992. In 1981 he was awarded the Freedom of the City of London and in 1982 became a Liveryman with the Carmen Company. Lord MacLaurin is Chairman of the England and Wales Cricket Board and a Governor of Malvern College. He was knighted in 1989, and was granted a life peerage in 1996. He became a Deputy Lieutenant of Hertfordshire in July 1992 and Chancellor of the University of Hertfordshire in 1996. He received a Doctorate in recognition of the inspiration and leadership which he has provided in the worlds of business and sport and, in particular, for his contributions as Chairman of Tesco and as chairman of the England and Wales Cricket Board.